Obsessed By Beauty: Top Winter Skin Saviours! Like everyone my skin changes so much in winter not necessarily on my body but certainly my face & I slap it full of moisture in different ways so I thought I'd show you some of the products I love to use! I tend to always use an oil cleanser to remove my makeup but in the winter I tend to use a more 'rich' formulation, they don't dry out your skin & help if my eyes are a bit dry. I've found my favourite formulation for the winter if my skin is a little parched is the Nars oil cleanser. In winter my eyes seem to dry out easily & if I have an allergic reaction I'll look like a 90 year old woman for a good 2 weeks before it sorts itself out. With quick intervention I can stop my skin round my eyes drying out with this product, whether its supposed to go round the eyes I wouldn't know but it doesn't do anything but make them better & soothe as well as moisturise. I first thought this was a regular moisturiser but its a moisture mask, you just apply it before bed & wake up with skin that feels so soft & well rested, it certainly does the trick but in fairness it should for the price!! Yes the packaging is shite but if you've got cracked chapped lips it really does sort mine out within a couple of applications, I think I must have about 10 tubes scattered through out my house/handbags so there's always one handy. I wouldn't ever be without it. I haven't done my review on this yet & I will get to it but this stuff is just great! Makes my skin super soft and just a really easy cream to fit into your skin care routine as I can't see anyone reacting to it, its like a hug for your face in a tube! 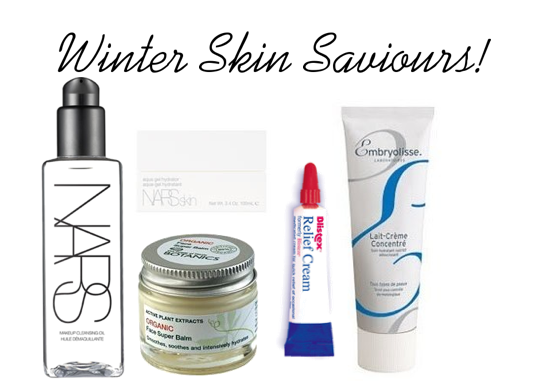 So there's my winter skin saviours! You must share yours with me, I have a bit of a fetish for skin care! In other news I have spots at the moment as I'm a bit ill with a chest infection so I'll have to do a post on how I combat break outs!! 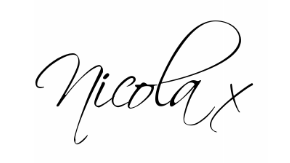 Oh & in other other news I got to 1000 followers on here which makes me unbelievably happy & humble that people take the time to read what I write so I want to say a very sincere thank you to you all!! If you haven't entered my Nars giveaway get on it! At night if I need a more rich cream I use Dexeryl but I think you only can buy it in france/belgium (?) not sure! Have you tried the MAC oil cleanser? Wondering what the difference between that and the NARS. I really need to get my hands on the Embryolisse cream but just dont know where is best to get it from? Thanks sweetie!Really inspiring wintery post! !Love all the stuff you mentioned!Have to try them!!! Ooh I want to try NARS Aqua Gel, yet to try it yet.